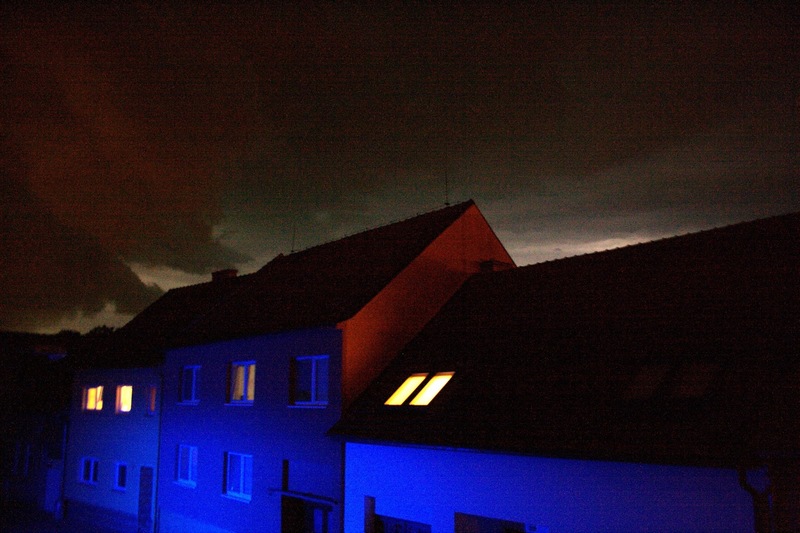 A storm was making it's way through the southern villages of Czech Republic last Tuesday night. Luckily, we had soup. Not just any soup, but Laksa: a softly spicy, fragrant, Malaysian noodle soup. I hadn't thought of this soup since I was last in New Zealand, where it's made with some frequency, and most kiwis will tell you it's Indonesia's most appreciated contribution to their islands. Sources cite Malaysia as the country of origin, but also Indonesia and Singapore. Whatever the case, the influences are clear on the palate - a bit South-East Asian, a bit Chinese, and appreciated by all. It reminds me of an incredibly tasty soup made last year, with shrimp and zucchini, but was much more involved due to the long infusion the spices had in the broth. 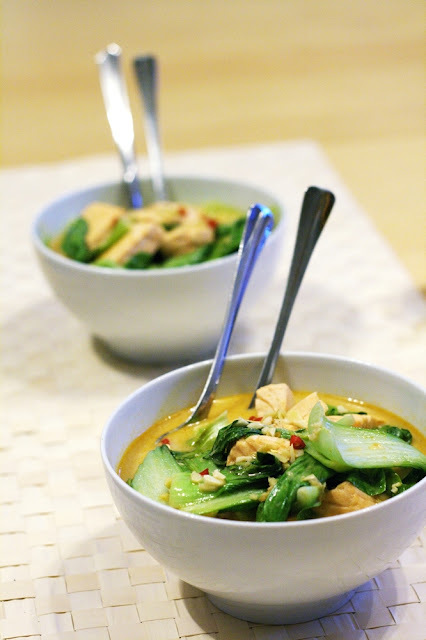 This version, adapted from an 'express' cookbook makes a very tasty broth with less time by NOT chopping the lemongrass and straining it out, but simply giving it a few good whacks to bruise the stalks, and letting them steep whole. The flavour still gets into the broth, but with less time and effort. 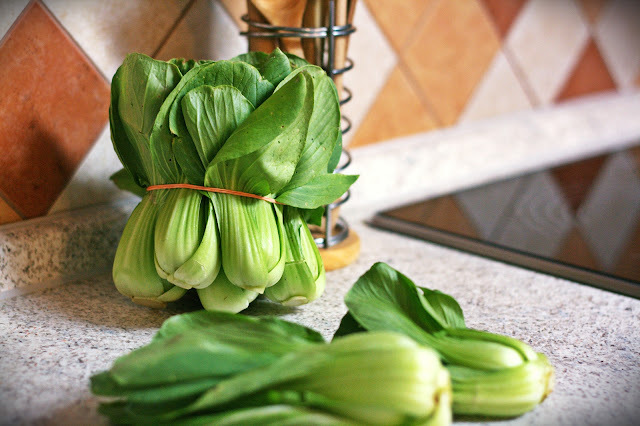 Baby bok choy is used, mainly because it just looks so cute while waiting on the counter-top, but the full sized variety would do just fine. We took heed from the Italians here as well, as the garlic is left whole, and scooped out at the end, as to not overpower. 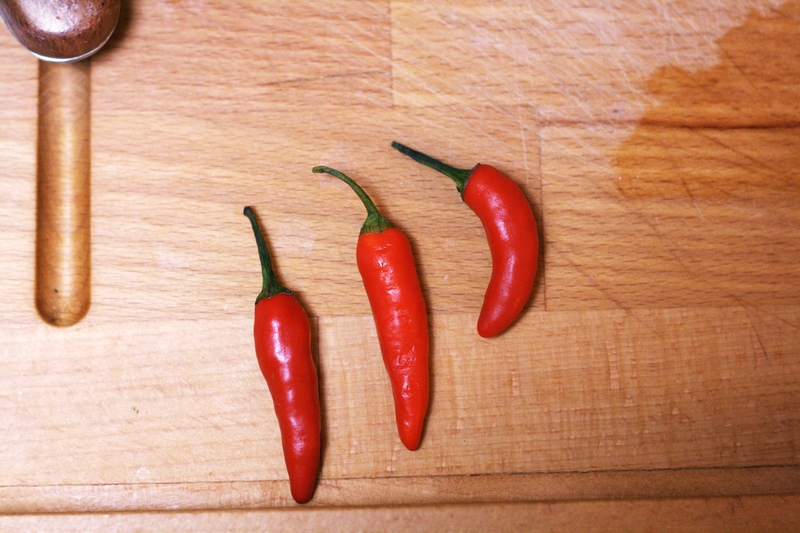 This is a soup of soft, well-blended flavours, and only spicy if you want to add in the chili peppers at the end. It's a work-night favourite of my good friend who made it, as I saw the note 'Awesome!' scribbled in the corner of the recipe. And so it was. 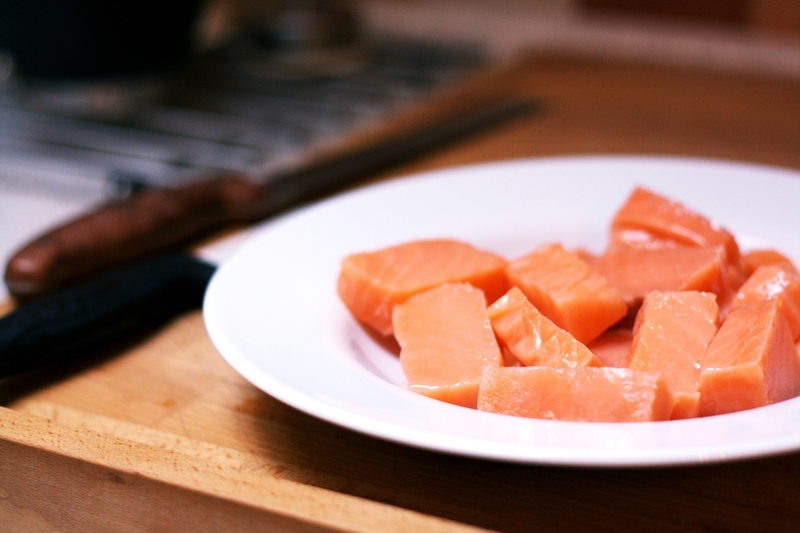 1) Cube the salmon and let sit in lime juice for 15 minutes while prepping everything else. 2) Start the vegetable broth heating, and a big pot of water boiling for the rice noodles. Chop up all the veg - except lemongrass and garlic! 3) In a large pan, heat peanut oil on med, toss in the ginger, whole garlic, white parts of green onions, and cook a few minutes, until fragrant. Add broth and coconut milk. Bruise the lemongrass stalk by hitting a few times with something sturdy, and toss that in too, along with the curry paste. Let simmer 10 minutes. 4) Add bok choy, salmon, and soy sauce, and simmer another few minutes. During this, cook the rice noodles for 3-5 minutes, drain, and divide into bowls. 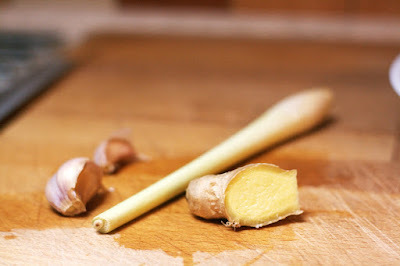 Remove the lemongrass stalk and two garlic cloves from soup, ladle it over the noodles, and garnish according to taste. 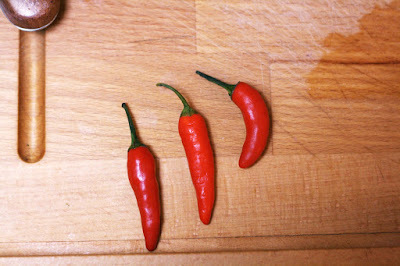 This is a soup of soft, well-blended flavours, and only spicy if you want to add in the chili peppers at the end. manfaat lidah buaya untuk rambut It's a work-night favourite of my good friend who made it, as I saw the note 'Awesome!' scribbled in the corner of the recipe. And so it was.